I haven’t been posting many new updates on the blog lately but I’ve definitely been maintaining the Portfolio page with new content such as the No More Sweden game Super Screaming Skull Bros 2 I made with K. Shonibare-Lewis and Mattia Traverso or a list of the most important articles I wrote while I was working as a technology columnist for US-government news website Voice of America. 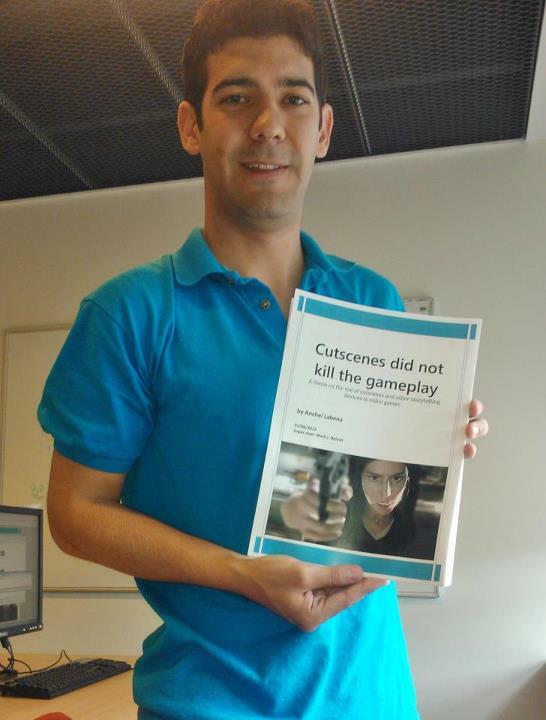 But the thing is that now I am officially finished with my studies at the IT University of Copenhagen and I am now a Master’s in Game Design after writing my thesis “Cutscenes did not kill the gameplay” (which I hope to make available soon on this website). For starters, I am now working for Den Danske Filmskole, which is the National Film School of Denmark. 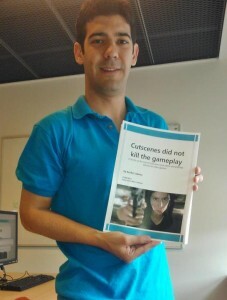 And what does that have to do with games? A lot actually: I’m working for the program called EUCROMA, which stands for the European Cross-Media Academy. What we do is a program for students from all over Europe where they are guided through the process of creating a cross-media production which encompasses both a short 3D animated movie and a videogame based in the same universe. I’ll keep the specifics for a later post, but for now it will suffice to say that I am one of the people organizing the entire program which will start next January. At the same time I’m helping randomly here and there with little things that come up and I am actively participating in several Danish game institutions (I am now one of the five board members of the IGDA Denmark (International Game Developers Association). So YES, I will be staying in Denmark for a while longer. How much longer you ask? I do not know yet, but I am not in a hurry to get back to Spain. The one thing that matters to me right now is that I have found a place where I can work for a living while I expand my skills and knowledge, putting into practice all I have learned so far during my radio, TV and film studies both at the University of Navarra (Spain) and the University of North Texas (USA) as well as my game design studies at the IT University of Copenhagen (Denmark). I have several plans going forward from now on. Some may succeed, many may fail. But whatever the case I will be updating this website with my portfolio, my resumé and other blog posts about videogames and technology. At the same time feel welcome to subscribe to both my Twitter and Facebook feeds, which I definitely keep updated way more often than this website.